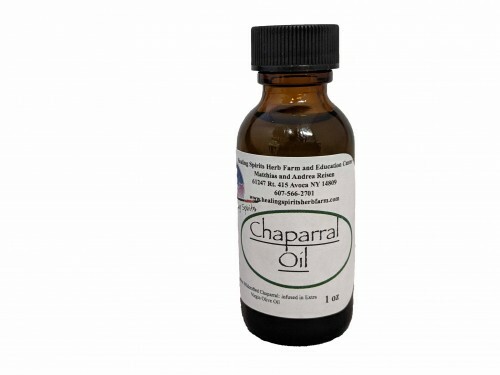 Chaparral is very good for skin that is irritated or damaged in any way. Traditionally used to treat everything from chronic conditions like eczema to acute irritations like bug bites, athlete's foot, or minor burns. Made with Ethically Wildcrafted Chaparral solar infused in cold-pressed organic extra virgin olive oil.